It’s winter—the days are short, the weather is cold, and the ground is covered in snow. If you have a family that you need to entertain, you may be stressed. What is there to do in Hanover on a cold, winter day? Don’t worry—we’ve got a few ideas for you! Beyond Conventional Studio is a do-it-yourself art and party studio providing a variety of private classes along with group events, private parties for children and adults, as well as fundraising events. Beyond Conventional isn’t your typical uptight, stuffy gallery! They highly encourage creative learning through experimentation and play, allowing you to step beyond the conventional way of doing things. If there’s snow on the ground, be sure to visit the sledding hills at Codorus State Park! A 500-foot sledding slope is at the upper end of Chapel Cove, just off PA 216. Park in Chapel Cove and walk along PA 216 to the park entrance sign and the trail to the slope. Be careful though; this slope is steep and too much speed can be a problem. Ramps are prohibited. You can also sled down Pigeon Hill in the Marina Day Use Area, which is a gentler slope. Park in the Pigeon Hills Monument lot and sled toward the lake. Looking for another way to enjoy the winter weather? When conditions allow, a 10-acre area in Chapel Cove, near the restrooms, is available for ice skating. When conditions are good, lights are provided to extend the skating time until 7:30 P.M. Skating is only permitted when the ice is posted as safe. Situated atop the hill on Stock Street, the Eichelberger is one of the most historical buildings in Hanover. Once an academy, the stately building is now a performing arts center and has been operating as such since 1998. The Eichelberger has hosted musicians such as Lonestar, Sara Evans, Thompson Square, Phil Vassar, and Pat Boone. Local theatrical arts groups regularly preform at the Eichelberger as well. Check out their website for an inclusive listing of all upcoming shows and performances. Looking for a challenge? Escape Confusion gives you 60 minutes to escape one of their many puzzling rooms. Their spaces are carefully crafted with unique themes, and each puzzle is designed to fit the experience and enhance your escape. Escape Confusion is perfect for families, friends, colleagues, leadership groups, corporations, and more. Visit Hanover’s library! Featuring three levels of community spaces, technology, and a friendly staff, Guthrie Memorial Library is located off route 94 on Library Place. The library is known for its fun and educational activities for everyone in the family. Author visits, a teen library, a special space for kids, and high-speed Internet access can all be yours when you visit Guthrie Memorial Library. Ever wonder about your family history? The Pennsylvania Room at Guthrie Memorial Library is a great place to start your venture! The Pennsylvania Room houses an extensive collection of genealogical tools such as church and cemetery records, ships’ passenger lists, and family histories. The Hanover Area Arts Guild started in 1968 and has since grown into a collection of over 150 artists and craftspeople. The Guild offers new shows and exhibits every month, showcasing artwork crafted in in oils, acrylics, watercolors, pastels, collage, photography, pottery, ceramics, fiber arts, jewelry, bead-work, sculpture, glass and much more. The guild also offers art education classes to people of all ages. When it’s cold or it rains, Hanovarians hit the lanes! Hanover Bowling Center is a beautiful 40-lane center located at the base of the Pigeon Hills. With youth programs, free bowling promotions, and tons of exciting events for kids and adults alike, Hanover Bowling Center has everything you need to have fun! Hickory Falls features a variety of activities for the whole family! The entertainment center boasts indoor go-karts, laser tag, rollerball bowling, an arcade and an indoor play area. When the weather warms up, be sure to check out their 18-hole mini golf course! Marchio’s Sport Hut is a locally-owned hunting and archery shop offering indoor and outdoor activities on-site. The Sport Hut features three archery ranges – including a 12-lane indoor range – and a virtual reality hunting system. If you are interested in virtual hunting, Marchio’s offers leagues throughout the year. Looking for even more adventure when warm weather returns? Be sure to check out the outdoor 3D archery course open to archers of all skill levels. Visit Hanover’s movie theater! Featuring huge wall-to-wall curved screens, stadium seating with high-back rocking chairs, and 3D movies RC Theaters is the perfect spot to spend a cold, winter day in Hanover. TimeLine Arcade is the portal to the past! 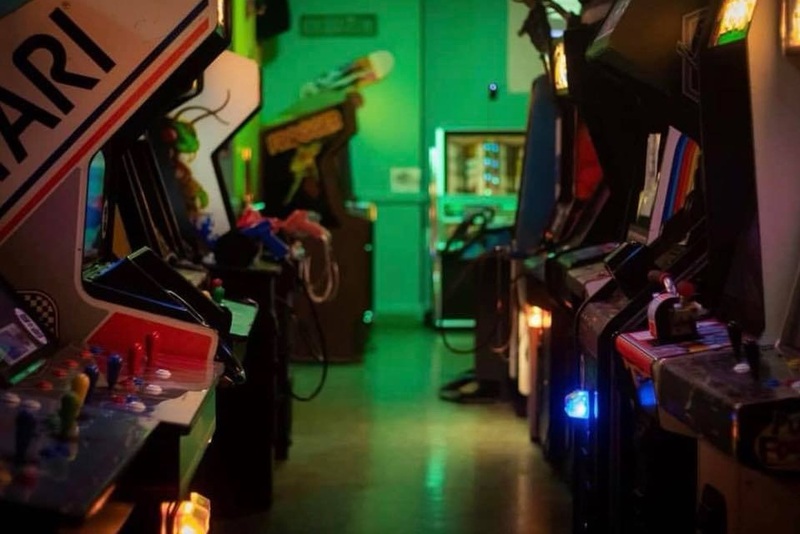 When you step through the door you will enter an epic world of classic arcade games intertwined with all the latest game consoles. With over 140 games and counting, there is somethings for everyone! TimeLine Arcade is affordably priced and conveniently located in the heart of downtown Hanover, Pennsylvania. Are you ready to take the challenge of surpassing some of the world-record scores that some of our machines possess? Are you prepared to have a blast at the largest arcade in Pennsylvania? Then we’ll see you at the one and only TimeLine Arcade!